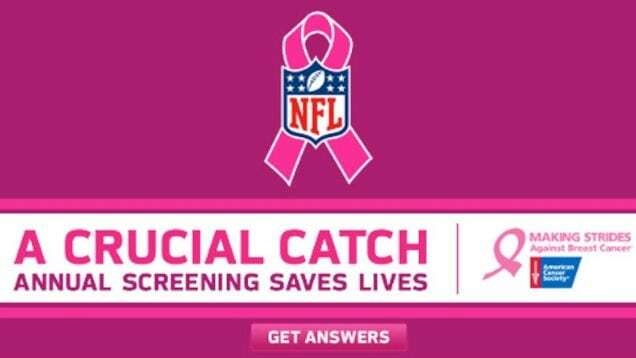 As the Green Bay Packers were walloping the Minnesota Vikings on Thursday Night Football last night, the NFL’s “A Crucial Catch Day” campaign for breast cancer – which “is focused on the importance of annual screenings, especially for women who are 40 and older” – was on display at the stadium. Banners similar to this one appeared in the stadium. Some players wore pink gloves or other pink paraphernalia. It was the first game of October, the first of many more pink pigskin promotions to come throughout this month. 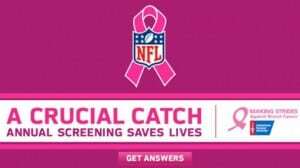 The National Football League (NFL) is spreading misinformation about breast cancer by repeating disproven and misleading advice about mammography screening in their “Crucial Catch” campaign. Alhambra Water is pinkwashing by selling plastic polycarbonate water bottles which contain BPA, a hormone-disrupting chemical linked to breast cancer. Kohls’ recent “Pink Elephant in the Room” promotion was outrageous profiteering; it exploited concern for women affected by breast cancer to make millions for the company. NASCAR is selling breast cancer awareness t-shirts that say “Check Your Headlights” which degrade women by objectifying and sexualizing women’s breasts and bodies. Hooters’ breast cancer campaigns obscure the harsh reality of breast cancer by perpetuating a story of triumphant survivorship based on positive thinking, beauty tips, and sanitized, carefully chosen images of women. 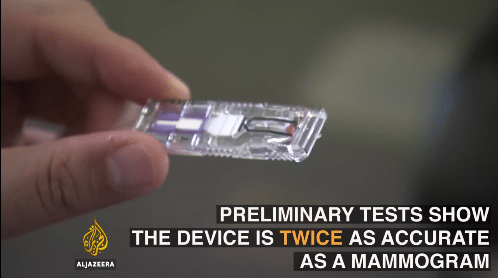 Oriental Trading is spreading empty awareness via its endless supply of plastic pink ribbon trinkets–the company pockets all the money from these sales. If this kind of Pinktober pushback is new to you, be aware that there is a strong groundswell of opposition from many breast cancer advocates. 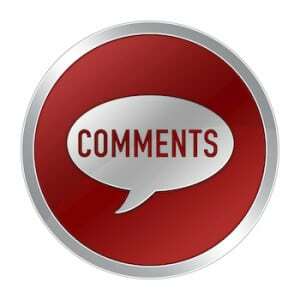 Another, Elaine Schattner, wrote,”For This October: A New Kind of Awareness,” with specific suggestions about how the awareness focus might adjust to some of the realities of 2014. Some things to think about as you watch NFL games or as you are pummeled with pink marketing anywhere you go this month. You’re a professor. You know academic sources. You have high-level tastes. Why not promote the level of information? NOT: some silly low-level crass commercialized National Football League promotion OF WHATEVER? Why not elevate people rather than lower yourself and give credibility to such lower-common-denominator sources like the N.F.L. They’re qualified for professional football; but what else?? It looks like you’re recommending conformity–suggesting that we ought to turn a blind eye to this kind of thing because it’s beneath us. It’s beneath precisely everyone who knows better, right? Yuck. Why address this? Because it affects people.